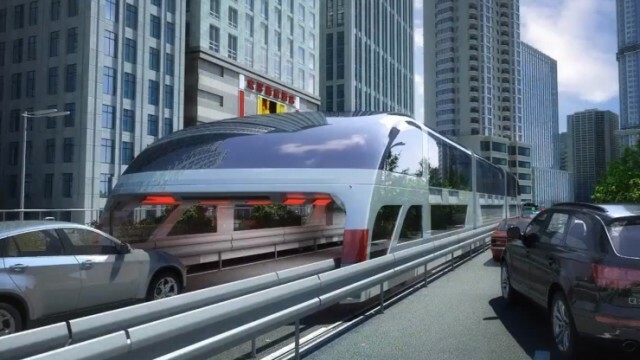 This 1400 Passenger Bus In China Let's Cars Drive Under It! 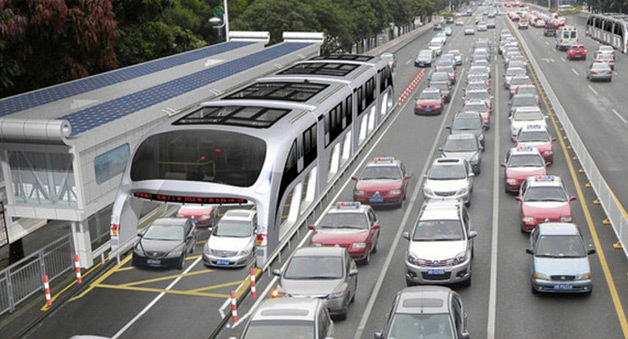 Forget Orange Line, This 1400 Passenger Bus In China Let’s Cars Drive Under It! While Punjab Government, gears up to launch Orange Line rapid transit system in Lahore by the end of 2017, while the West has been busy working to make Hyperloop a reality, and now it looks like China also wants to revolutionize mass transit systems. To curb traffic congestion; cities use subways, light rail, bus rapid transit (BRT) and regular buses. Transit Explore Bus, a Beijing-based company, got us to look at solving this issue in a whole new perspective. Yesterday, at International High TechExpo in Beijing, Transit Explore Bus demonstrated a scale model of their concept, Land Airbus. The Land Airbus is a mixture of light rail and BRT, that travels on two tracks on either side of the road and gets its power from nearby street lights. So, instead of going on a road with regular traffic, it travels above it. The proposed bus with a ground clearance of 6’5” will almost have zero ground footprint and would be able to pass over the traffic on the road and travel at a top speed of 60km/h. With a maximum capacity of 1400 passengers, 1 Land Airbus would be able to remove 40 buses from the roads, further relieving traffic underneath. According to TEB, it would cut fuel consumption by 800 tons a year and CO2 emissions by about 2,500 tons. In addition to this, by using existing roadways, it is only 16% of the cost of constructing subways, and it can be built in a fraction of construction time taken by subways. Transit Explore Bus also announced that they are preparing to test the first full-scale Land Airbus in the Qinhuangdao City of Northern China later this year in July or August. 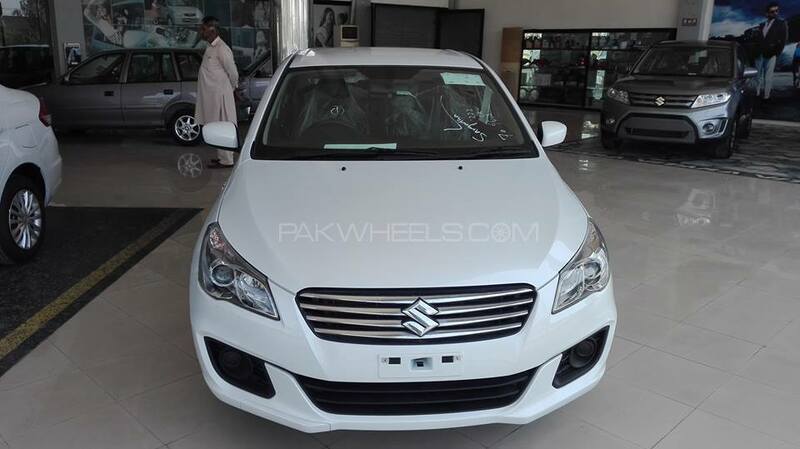 However, it remains to be seen how it would handle taller vehicles and underpasses. In the video, the “bus” is always aligned with the center green belt. Which begs the question, how do the passengers get on and off? 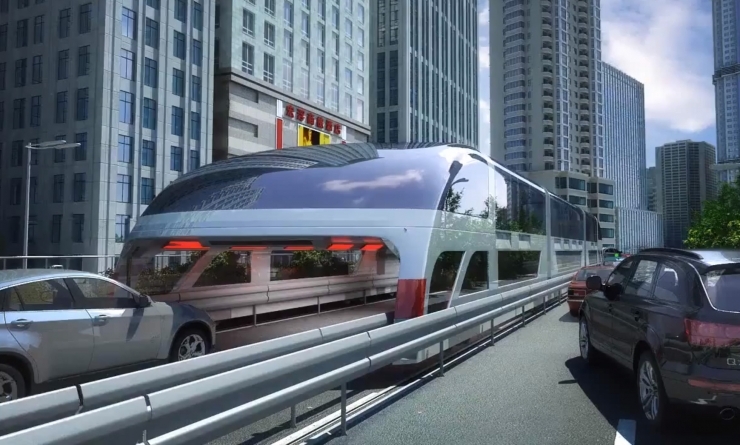 This a very smart solution to today’s traffic congestion and costly mass transit systems.